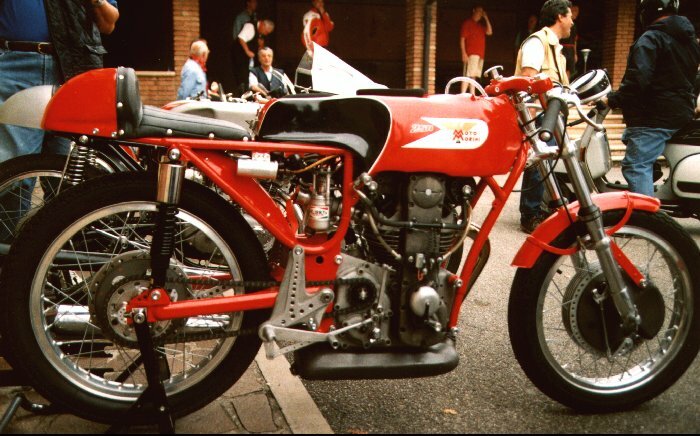 Moto Morini was a very well known brand in motorcycle racing. 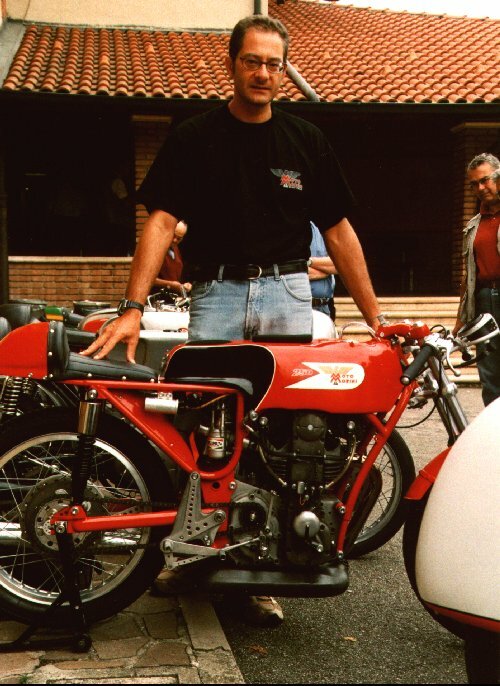 It's founder, Alfonso Morini had raced motorcycles in the 1920s. 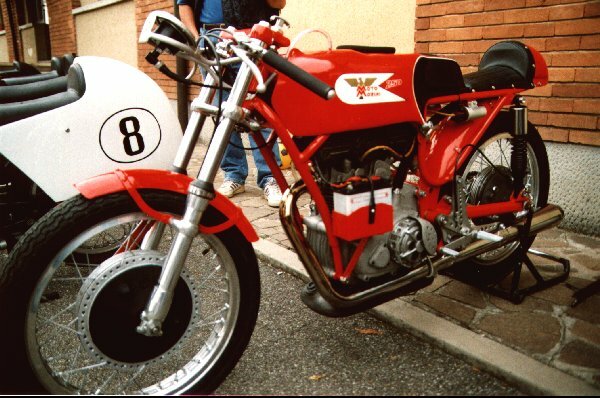 After Alfonso founded Moto Morini in 1946, the company turned to the manufacture of 175cc single 4 stroke models in the 1950s. 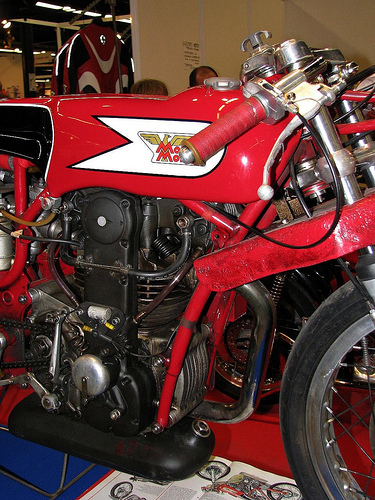 In an effort to become competitive in competition the 175cc Rebello was built. 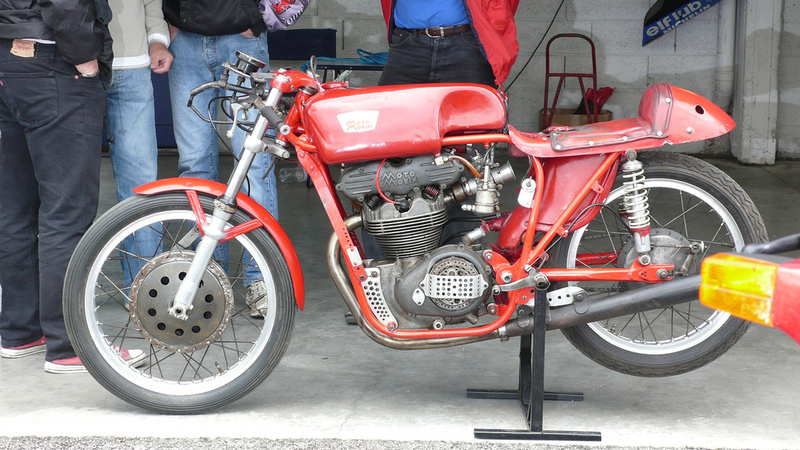 This bike was meant for private riders to join long distance racing in Italy. 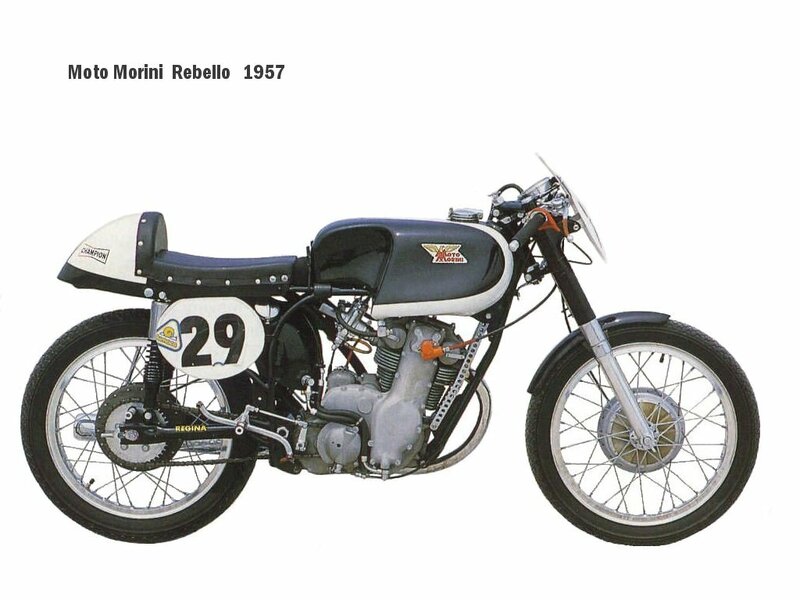 In the early 1950s the Moto Morini 175 Rebello was introduced and used in production racing. 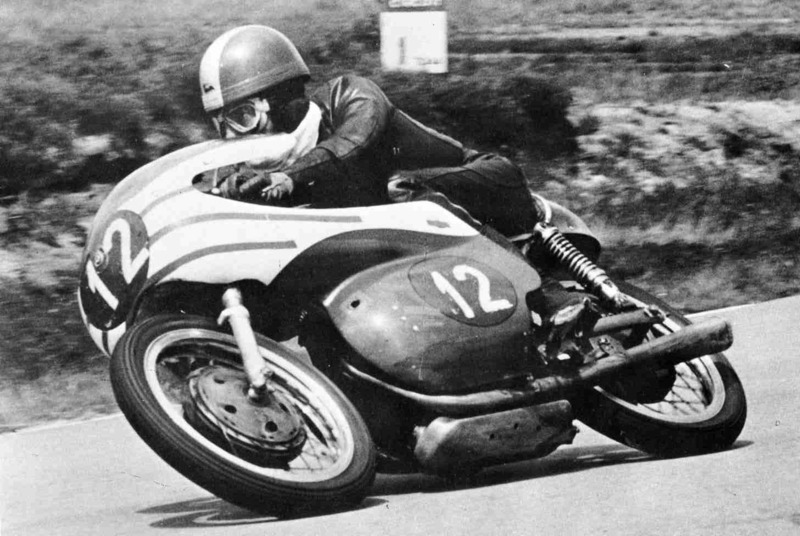 It was meant for private riders to compete in long distance racing, like 'Milano-Taranto' and also the 'Motogiro d'Italia'. These races were held on public roads! 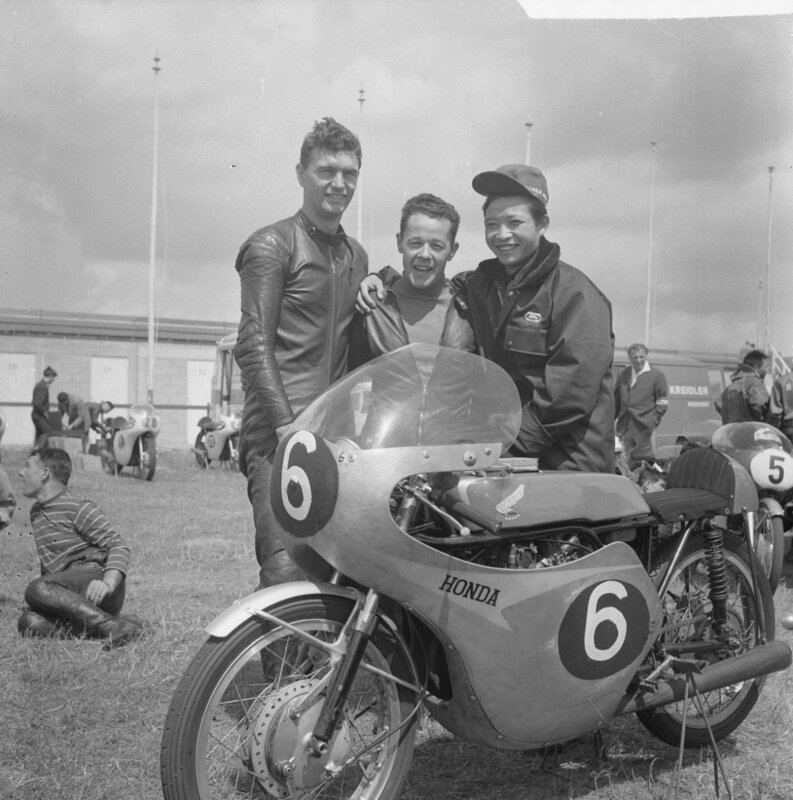 In the table below you can see the excellent results achieved with the Rebello in the 175cc class: 3rd in 1954, 1st and 3rd in 1955 and 1st, 2nd and 3rd in 1956!! From 1957 onwards, long distance racing on public roads was prohibited. This meant also the famous car race, the 'Mille Miglia' (thousand miles) was banned. 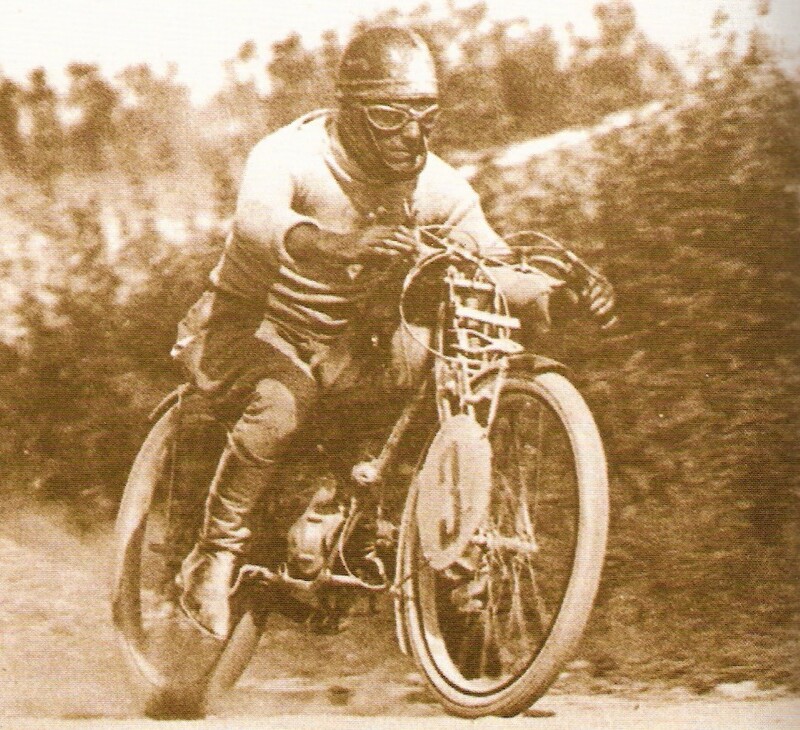 It had become too busy on public roads, racing became too dangerous. 2. G. Ridenti Mondial 13.45'05"
3. P. tramelli Morini 13.49'11"
2. Osvaldo Perfetti Bianchi 12.36'19"
3. Walter Tassinari Morini 12.43'21"
2. Virgilio Campana Morini 12.23'54"
3. 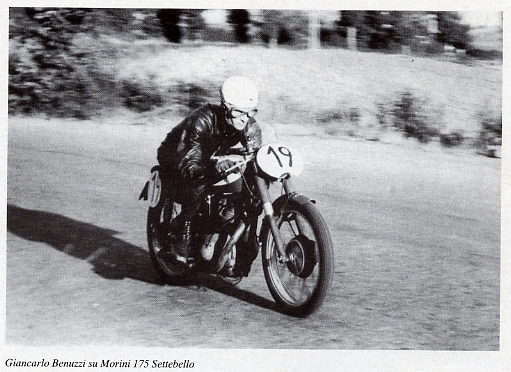 Giampiero Zubani Morini 12.37'38"
Clearly improving results:1954, 3rd place, 1955 2nd and 3rd, 1956: 1st, 2nd and 3rd! 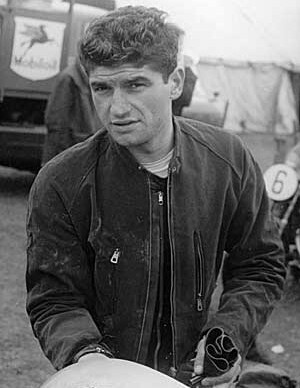 1958 saw the highly successful 250 GP introduced, which almost gave Tarquinio Provini the 1963 World Title. 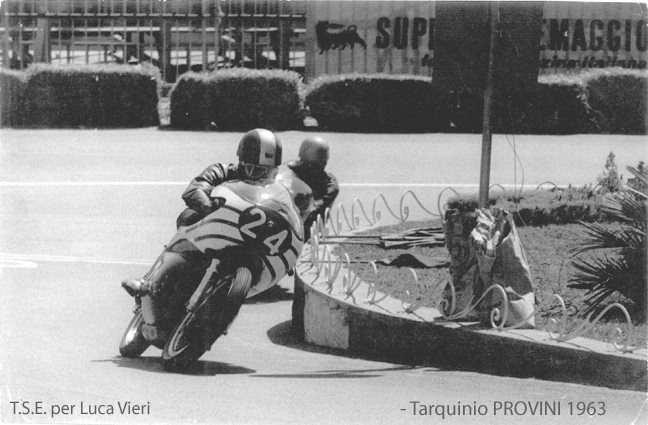 Unfortunately, Provini missed the race in former East-Germany (Berlin), due to a strike at the time. Due to this, he also missed valuable points for the World Championship. 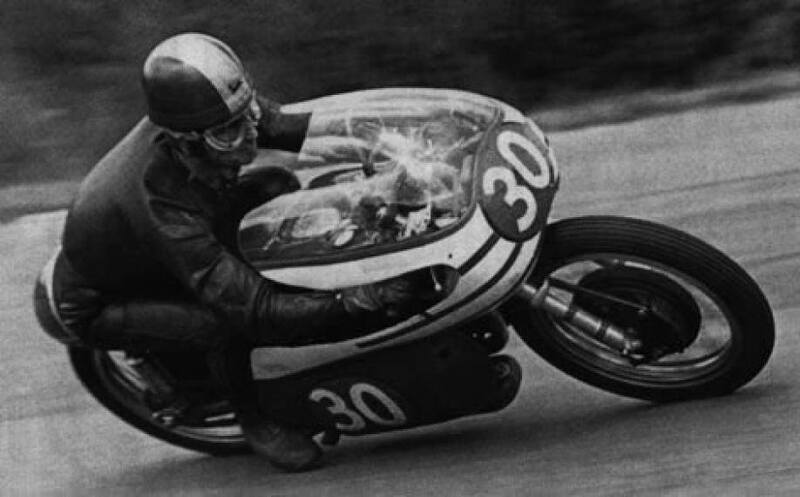 During the '63 season Provini also missed the race in England as he was home-sick for Italy ;( On this website, there is a special page with an excellent article on the 250 GP racer. 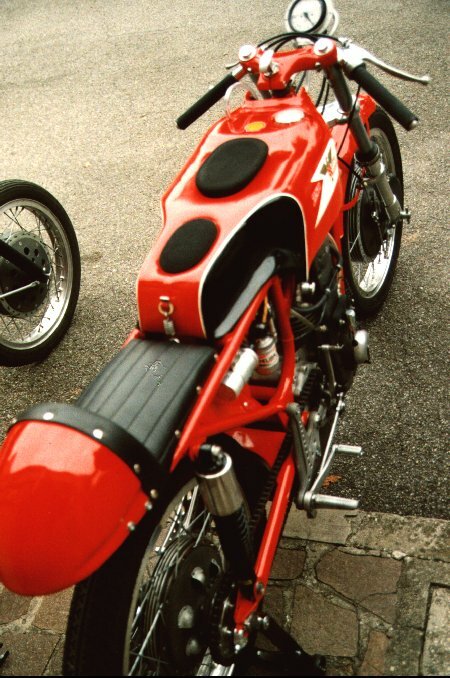 The Morini 250 GP racer is still known as the world's fastest single cilinder motorbike!! 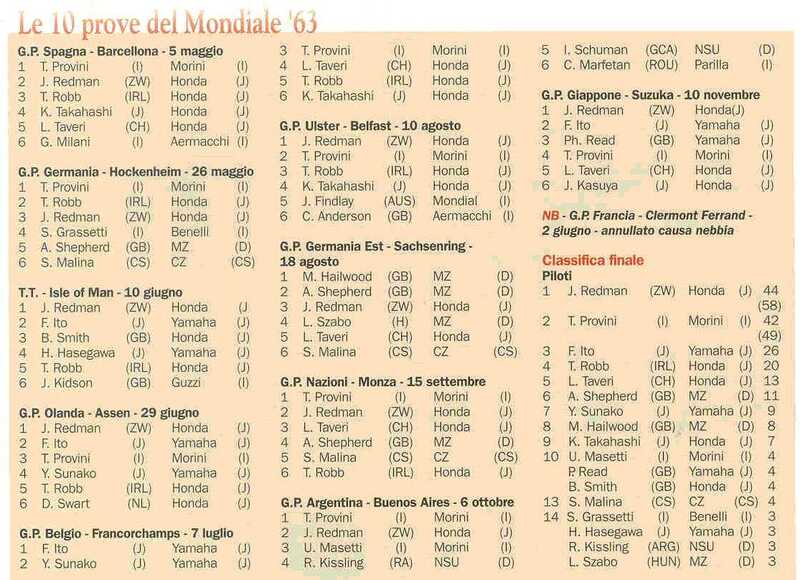 After the final race of the 1963 season (see the overview with the results of all the races), Honda did beat Moto Morini by TWO points only. 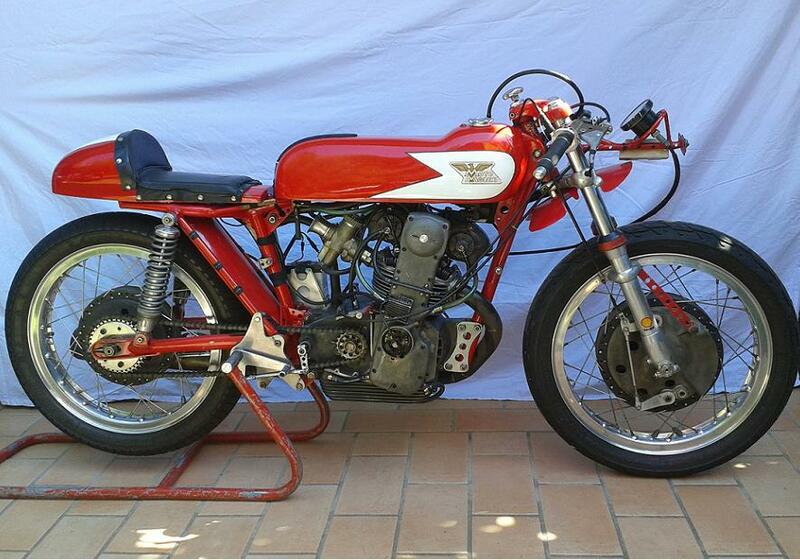 Nevertheless, the Moto Morini 250 single is still considered the fastest single of the world ! 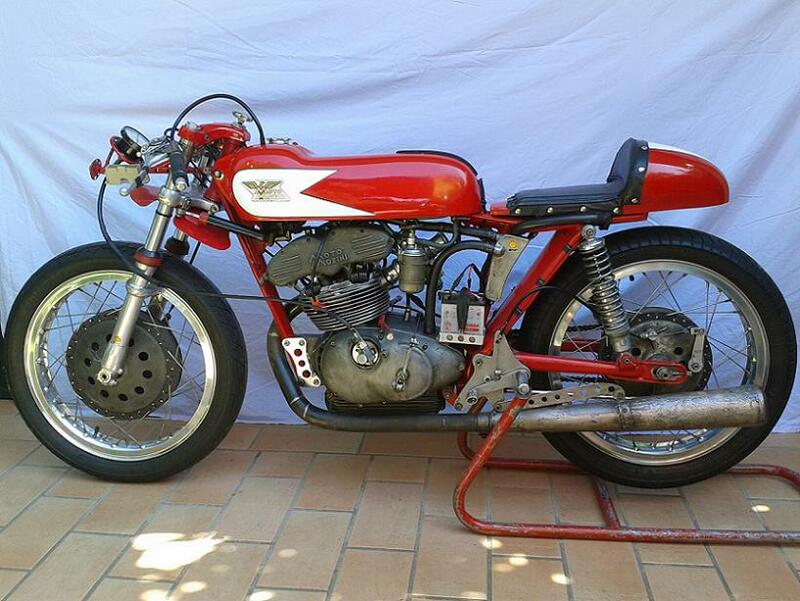 Listen to the sound of Provini's racer. Click the startbutton. No startbutton?! Update your browser, or use a different browser. 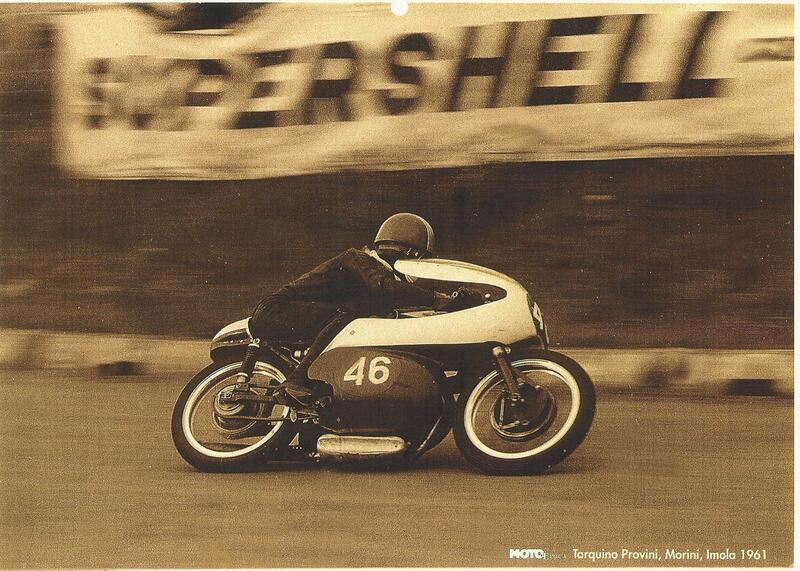 lap in the Hockenheim GP in 1963 at an incredible 190,33 km/h!! L. Taveri Zwitserland Honda Pos. Naam Land Merk Ptn. 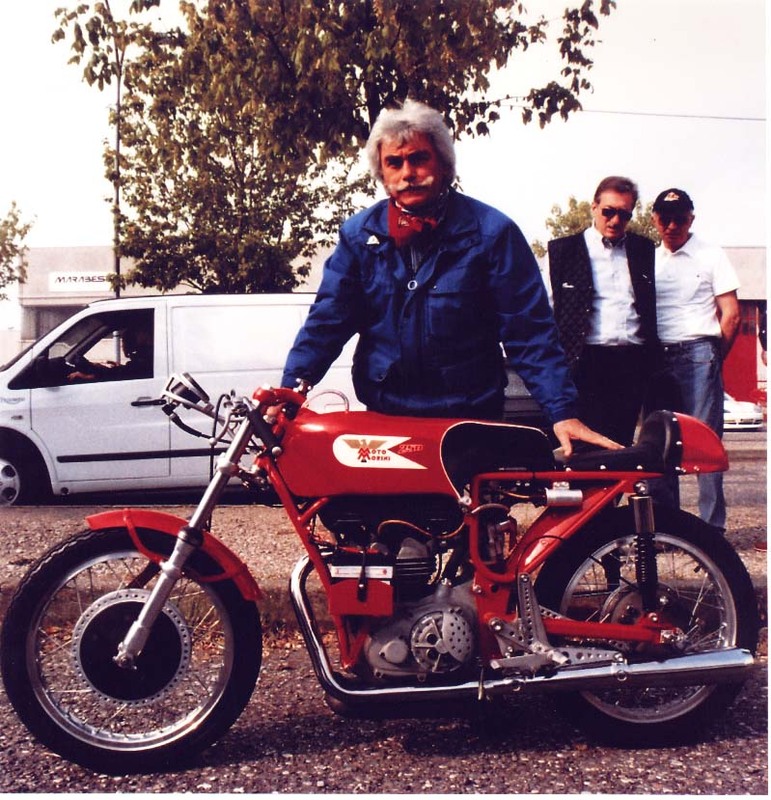 Lhs: mighty 250cc engine: fastest single in the world!